It will be difficult to find this couloir in such conditions again. Timing, patience, and a great crew lead to an unforgettable day in the Sierra Buttes. It was very fun to fly the drone on such a worthy line. This was one of the best runs of my life. It was a wild January in Tahoe. Here is a small glimpse of the beginning of a historical season. 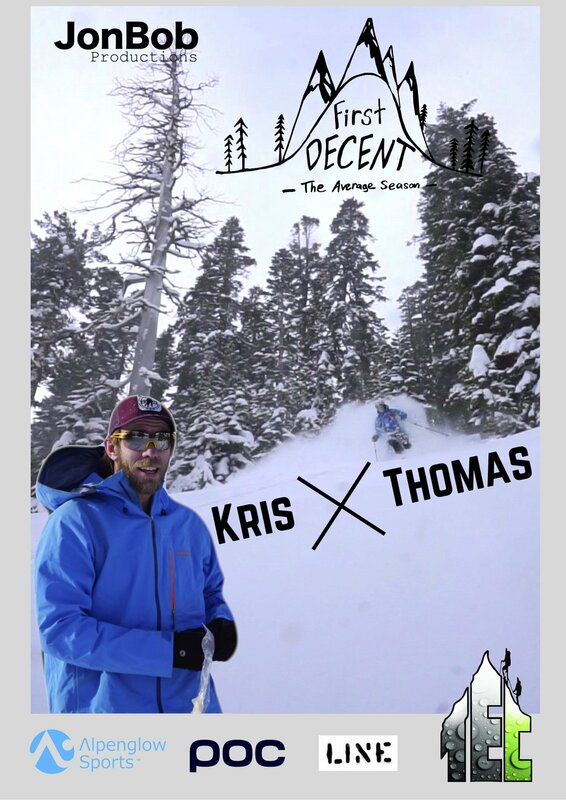 You can find all of the 2016 First Decent athlete posters right here! Feel free to print out, track them down, and demand an autograph. The 8th installment of the JonBob empire is here! Take a couple of minutes to enjoy the newest trailer. Welcome back old friend. Thanks for making us laugh, smile, fly, bounce, pop, slide, smear, and slash. You arrived early with gifts and departed with hugs, high fives, and empty PBRs. Winter 2016, come back any time!... Relive The First Decent winter in years. Explore classic zones with familiar faces. JonBob Productions presents "First Decent", the average season. Tahoe has been good lately. Check out this edit I put together for Powder Magazines All Time series.